Johnston County Schools is sending 3 of its best and brightest students to the prestigious Governor’s School of North Carolina. 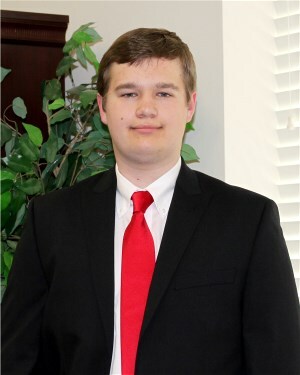 The names of the selected students along with their area of concentration and their high school are as follows: Cameron Ross McCullers (shown in photo), Smithfield-Selma High School (Natural Science); Diana M. Arguijo-Mendoza, Corinth Holders High School (Math); and Kathryn A. Townsend, Corinth Holders High School (Social Science). These three students were honored at the April Board of Education Meeting. Governor’s School of North Carolina is a five-week summer residential program for intellectually gifted high school students, integrating academic disciplines, the arts, and unique courses on each of two campuses. The curriculum focuses on the exploration of the most recent ideas and concepts in each discipline, and does not involve credit, tests, or grades. Principals, School Counselors, and Teachers, nominate applicants and send their names to the superintendent. A district committee then determines which of the school nominees will be sent for final selection at the state level. There are 10 curriculum areas: art, choral music, dance, English, foreign language (French and Spanish), instrumental music, mathematics, natural science, social science, and theater. Governor's School is the oldest statewide summer residential program for academically or intellectually gifted high school students in the nation. The school is located on two campuses of up to 275 students each: Governor's School-West at Salem College in Winston-Salem, and Governor's School-East at Meredith College in Raleigh. About 32,000 people have attended since the school was founded by former Governor Terry Sanford in 1963.